Forgot to grab something to read on the train? 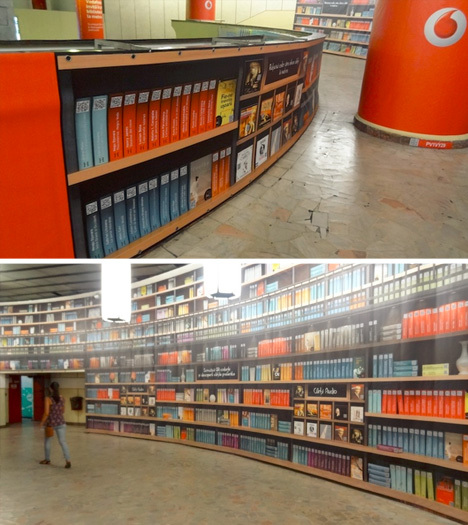 If you happen to be in Bucharest, you can snag a volume from their floor-to-ceiling, wall-to-wall collection of ebook samples with the click of a button (in epub, pdf or even audiobook format). 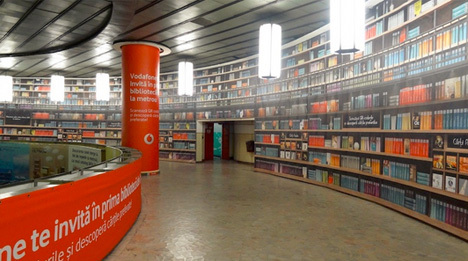 The hybrid digital/physical library/bookstore project is a collaboration between Humanitas and Vodaphone – a guerrilla marketing campaign highlighting both the power of mobile technology and the offerings of the bookseller. 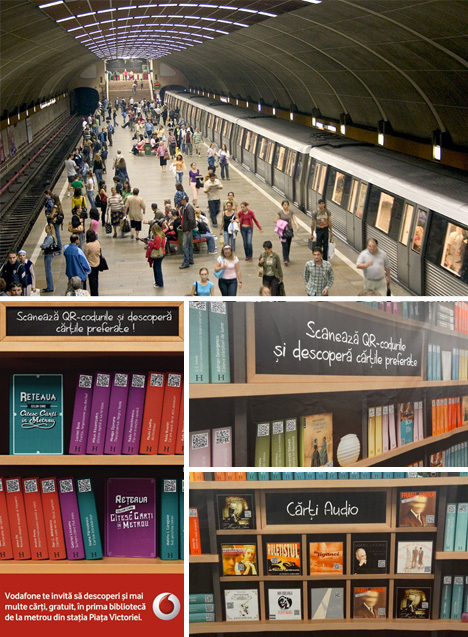 Browsing, of course, works just like an ordinary book shop: you can scan the full-color posters and pick something to get started while you wait for your ride. And if you enjoy the sample, another button-click brings you to a page where you can buy the full book (one free book is thrown in, for those who do not wish to pay).